Today is the day that Miitomo launches in the United States and many other countries. When Nintendo’s first mobile release came out two weeks ago in Japan, you could get your Mii character to say curse words. 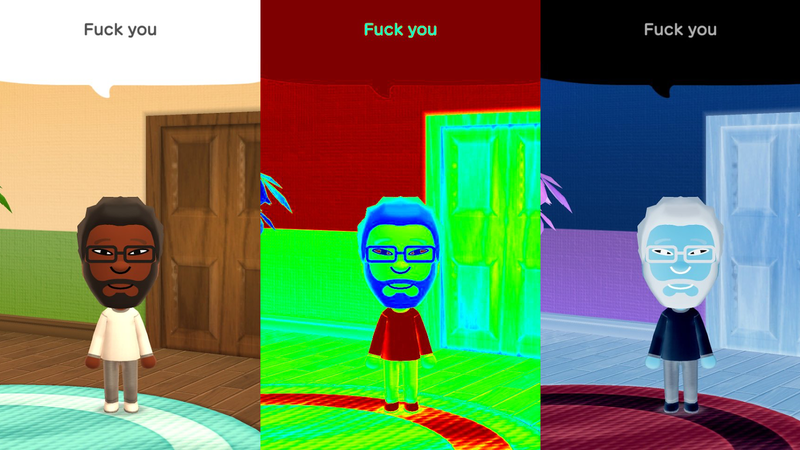 As of right now, your Mii can still drop f-bombs to friends and family. After Miitomo went live in the U.S., I changed the country of residence for my Nintendo account, which kept my various stats intact. Miitomo seems unchanged from its initial form. You can see a quick look at the game’s intro sequence, character creation and mission browsing in the videos below. When it made its Japanese debut on March 17, the big anomaly in Miitomo was the ability to use naughty curse words for greetings and other interactions. Letting a Mii blurt out salty language stands out because Nintendo prides itself on being a family-friendly purveyor of fun. I figured that the two-week gap between the Japanese and American launches of Miitomo would give Nintendo time to address such a big oversight. But, as the short video below shows, nothing seems to have changed.